Is colonialism creating inappropriate regulation of traditional medicine practitioners? 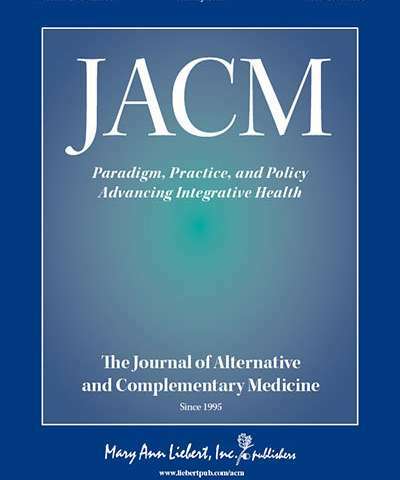 Two commentaries in JACM (The Journal of Alternative and Complementary Medicine), a peer-reviewed journal from Mary Ann Liebert, Inc., publishers that is dedicated to examining paradigm, practice, and policy advancing integrative health, raise questions about whether the value to health care of traditional, complementary, and integrative practices and practitioners is unfairly de-valued by the dominant biomedical model. In ''Statutory Regulation of Traditional Medicine Practitioners and Practices: The Need for Distinct Policy Making Guidelines,'' internationally respected whole systems researcher Heather Boon, Ph.D., Dean of the University of Toronto School Leslie Dan School of Pharmacy, and Nadine Ijaz, Ph.D. urge a re-examination of what they consider ''colonial'' models in regulation of traditional medicine practitioners. ''Biomedicine's globalized dominance,'' the co-authors write, ''is far less the result of biomedical science's evidenced efficacy than it is a feature of the ongoing sociopolitical subordination of precolonial indigenous knowledge systems and related healthcare practices.'' In present context, they argue that "'biomedicine is widely and falsely universalized as 'culturally neutral''' —to the detriment of even-handed evaluation of traditional medicine practices. In an accompanying editorial, "Colonialism, Health Justice, and (Re)Examination of the Value of Traditional Practitioners and Licensed Integrative Health Professionals", JACM Editor-in-Chief John Weeks, johnweeks-integrator.com, Seattle, WA, suggests that the Boon-Ijaz theme is timely: "Harmful limits of biomedicine's reductive predilections are increasingly under attack amidst the moves from volume to value, patient-centrism, multi-modality treatment, team-based care, use of nonpharmacological approaches, and individual and group coaching of people into life-changing healthy behaviors."